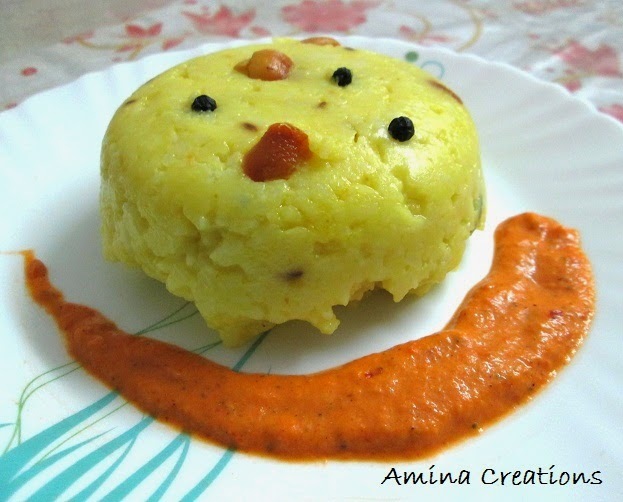 Rice Pongal is a very popular breakfast dish in South India. It is easy to make and tastes delicious with tomato chutney and sambar. Take pongal rice, moong dal, salt and 6 and 1/2 cups water in a pressure cooker and pressure cook for 3 whistles. Heat ghee in a pan, add cumin seeds, mustard seeds, cardamom, cinnamon, ginger and curry leaves and sauté for a few seconds. Add cashews, turmeric powder, asafetida and a pinch of salt and saute till the cashews turn golden. Switch off the gas and wait till the rice and moong dal mix has cooked and the steam has come out. Open the lid of the cooker and add the seasoning to the cooked rice and moong dal and mix well. Add a few tsps of ghee on top and serve hot with tomato chutney and sambar.